Busy mornings call for easy and quick breakfast ideas. 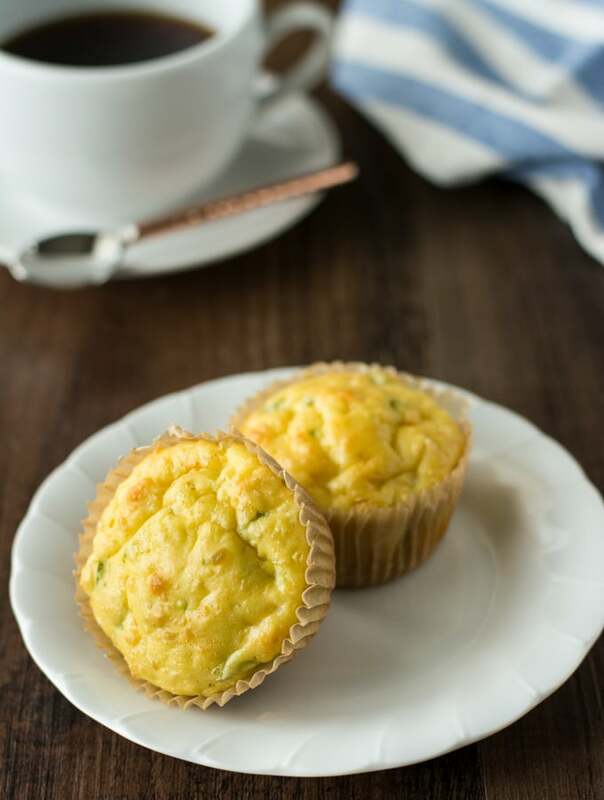 These Einkorn Cottage Cheese Jalapeño Muffins make a healthy and portable breakfast! This original recipe for these einkorn muffins first appeared here on the blog back in 2015. While I enjoyed that one, I’ve tweaked it just slightly over the dozens of times I’ve made these for us. Plus, I’ve experimented with different seasonings, so you don’t have to necessarily put jalapeños or scallions in yours. You could have dill and chive muffins instead. It’s all up to you. I’m sure at least some of you have kids that are back in school as of last week or are going to be starting soon. That usually means early mornings with little time for breakfast. Instead of hitting up a drive-thru, how about serving these savory muffins? These reheat really well in the microwave. These muffins are made with Einkorn flour, which is the world’s most ancient wheat. Because the gluten in einkorn does not have the high molecular weight proteins that many people can’t digest, it is tolerated by some people with gluten sensitivity. Those with celiac disease should still avoid because it does contain gluten. How Much Protein Is In Einkorn Flour? Einkorn has 40% more protein and 15% less starch than commercial wheat, plus abundant B Vitamins and trace minerals like iron. Einkorn is packed with more nutrients, vitamins, and dietary minerals than regular wheat. The cottage cheese not only provides a boost of yummy flavor and protein, but also helps to keep these muffins nice and moist. Which is exactly what you want in a muffin. I buy the Kalona Supernatural brand of cottage cheese, which is grass-fed and has a good ingredient list. Do NOT substitute Einkorn whole grain flour for the all-purpose flour. The whole grain, which is ground from whole wheat berries, absorbs more liquid than the all-purpose. I use the If You Care. brand of large baking cups when I make these. I’ve never had any problem with these muffins sticking to the liners and just love them. If you want to make these gluten-free, you can substitute oat flour at a 1:1 ratio for the einkorn flour. I buy old fashioned oats and grind them into a powder in my food processor. It’s a much better deal than buying oat flour, and I can use it to make oatmeal. I buy the Jovial Foods brand of all-purpose Einkorn flour. You can find this at Natural Grocers and Whole Foods. 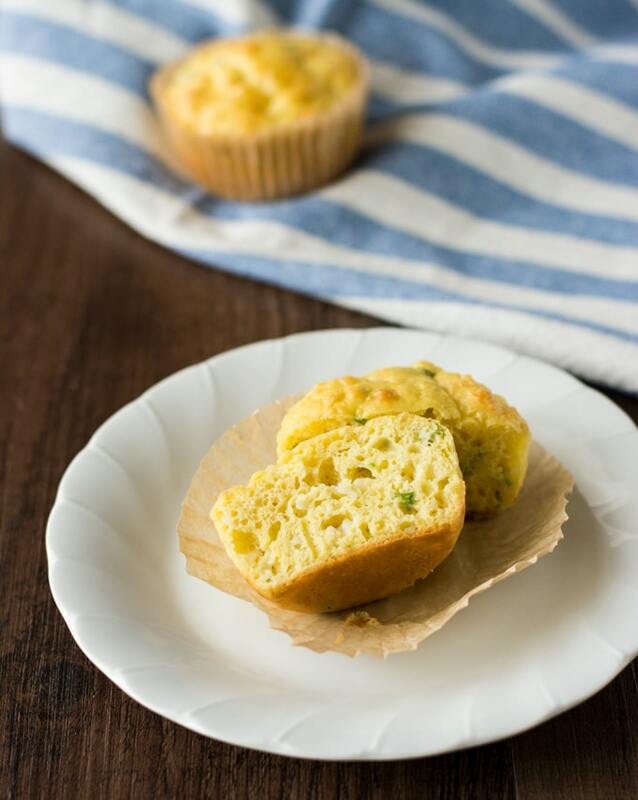 These Einkorn Cottage Cheese, Jalapeno Muffins make a tasty and portable breakfast. Just reheat and go! In a medium bowl, whisk the eggs and cottage cheese together. Add the jalapeños and scallions and whisk until combined. Pour the wet mixture into the bowl of dry ingredients, then gently fold the flour into the egg mixture with a stiff spatula until it's smooth. *Do NOT substitute Einkorn whole grain flour for the all-purpose flour. The whole grain, which is ground from whole wheat berries, absorbs more liquid than the all-purpose. If you or your kids don't like jalapeños, then you could use some dried dill and fresh chives instead. Or just use the garlic powder and about 1/4 tsp of onion powder for a little onion flavor without any chopping. If making ahead, you can reheat in the microwave. I have a 1000 watt microwave and it takes about 40 seconds. By Tempie at October 18, 2018 . These muffins sound incredible. Love the addition of cottage cheese and jalapeños. Thanks, Judy! 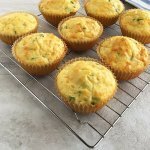 The cottage cheese really does add great flavor and texture to the muffins! they look so fluffy, and delish, gonna try! Thanks, Claudia! Hope you like them! I really haven’t experimented with substituting whole wheat flour for Einkorn yet, but perhaps increasing the amount of liquid would work. My husband likes spicy things….so he will love these. I absolutely love spicy foods, too! Hope you enjoy! Your muffins look so yummy and fluffy, I couldn’t believe that the cottage cheese was so well incorporated… Thank you for sharing. Thanks! It really is amazing how great cottage cheese is in baked dishes! What a great use of cottage cheese!! I love the addition of the jalapeno .. these must be amazing!! !